3-D patterns can function just like wallpaper, covering the surfaces with a continuous flow of texture, reflecting light and offering texture to the room. The Herring Bone pattern is very popular, and is a very classic look that will always be in style. . 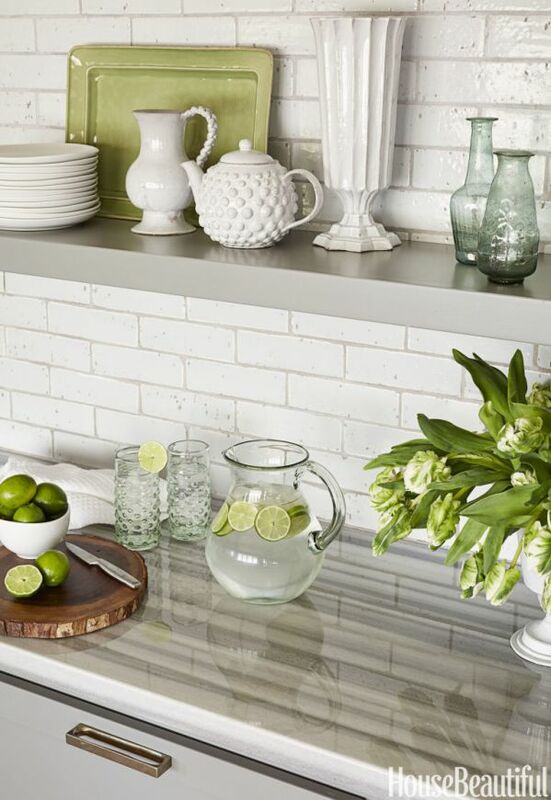 Subway tile is a simple, classic addition to any kitchen, bathroom, or fireplace. I know it is very popular right now, and my clients are requesting it all the time. I always ask that they also consider a handmade subway tile. It has a wonderful texture and rich vintage look. If you just can't give up subway tile, but you want something a little more unusual, this handmade tile with its pitted imperfections is the perfect solution. 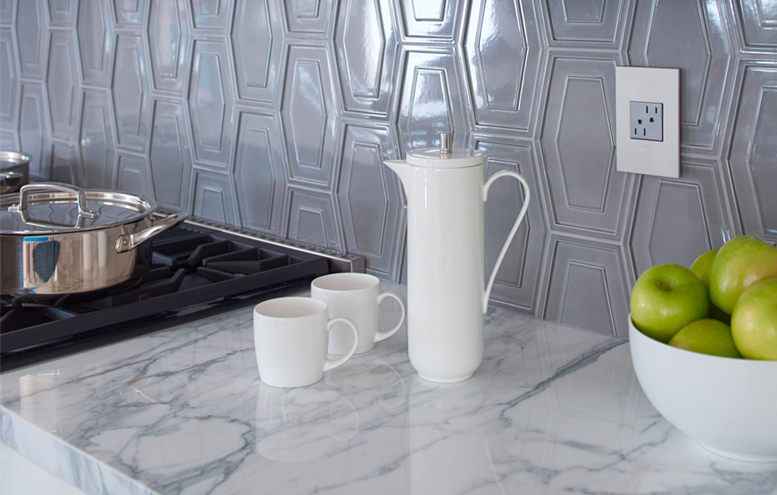 Looking for More Information on Selecting Your Backsplash? Then the Backsplash Bible is for you. This valuable guide is a collection of the best articles written by Interior Designer, Carla Aston. This is a collection of her most popular blogposts, written about all kinds of backsplash scenarios. Professional advice to help you choose the perfect style & color for your home! This guide is designed to help homeowners in designing their own backsplashes, selecting materials, and working out the awkward details that often occur. Here it is, the dos and don’t of selecting Tile. This great go-to guide of tools and strategies for deciding on the best tile for your renovation project, is our latest giveaways to you, our readers! this downloadable PDF is available in our shop as a download, but today we are offering to (2) lucky readers for FREE in this months GIVEAWAY SERIES! And to all of you who have signed up for my newsletter and read my posts and updates from the design industry, and shared it online or with friends, THANK YOU! Writing a blog has made me a better designer, with friends and resources here in these amazing online communities.